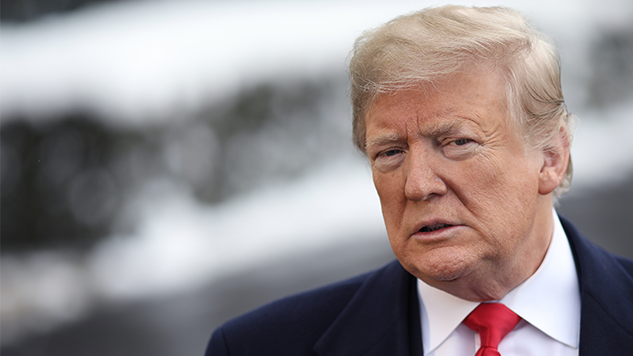 President Trump signed the Government Employee Fair Treatment Act of 2019 on Wednesday, which guarantees that federal workers will receive back pay after the partial government shutdown ends, CNN reports. The bill is sponsored by Sen. Ben Cardin (D-Maryland). However, these federal employees will not receive their back pay until the shutdown (now on its 27th day) ends. These workers have plenty of pressing costs—from mortgage payments to groceries, to any number of necessities—that they need covered in the meantime. And, as Paste’s Jacob Weindling noted, the partial shutdown disproportionately affects the poor. Trump also met with the bipartisan Congress group the Problem Solvers Caucus (anyone else picture Jenna and Tracy on 30 Rock?) earlier on Wednesday. The meeting centered on negotiating an end to the seemingly never-ending shutdown. White House press secretary Sarah Huckabee Sanders claimed that those who attended “listened to one another and now both have a good understanding of what the other wants”—as if no one realized before that Trump and his cronies want a xenophobic wall. While Sanders called the meeting “constructive,” CNN says a member at the White House meeting stated that they did not appear any closer to a deal.